Filmtext: Insel der Schwäne. In Ulrich Plenzdorf Filme 1. Rostock: Hinstorff Verlag 1986. To young Stefan, "Insel der Schwäne" (swan island) also meant his home village, his grandmother; who still lives there, and his friends. He was to take leave of all. His father, a construction worker in Berlin, plans to pick up the family later - mother, sister and Stefan. It is only a few hours' drive to their new home. Everything is unfamiliar, different and strange: the people, the school, the caretaker. 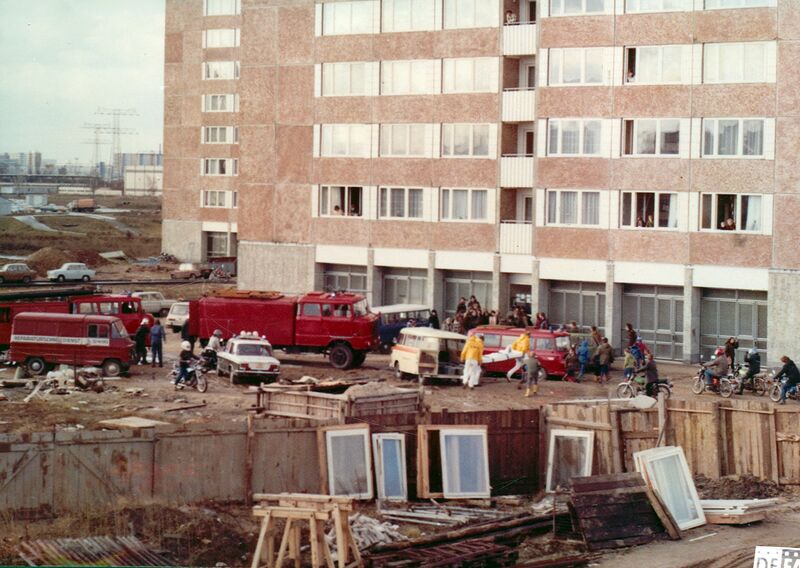 Concrete and high-rise buildings are to be seen everywhere in this newly built-up area where Stefan now lives. But soon the boy finds a friend. And when Hubert causes some flooding in the high-rise block by accident, Stefan unselfishly takes the blame and swallows the punishment as if it were nothing. Seemingly like a hero. Yet, Stefan is no hero. Nor does he go around bragging. On the contrary, he deeply hates such behaviour. So he stands up to a senior pupil who bullies especially younger kids. "Windjacke" (wind-breaker) is a brutal character who knows how to act the "nice young boy" in front of grown-ups. Stefan fights against "Windjacke," especially after finding out how his good friend, Hubert is tormented by the young tyrant. Stefan nearly loses this dramatically staged fight, but, by asserting himself, he gains a sense of reality for his new home.